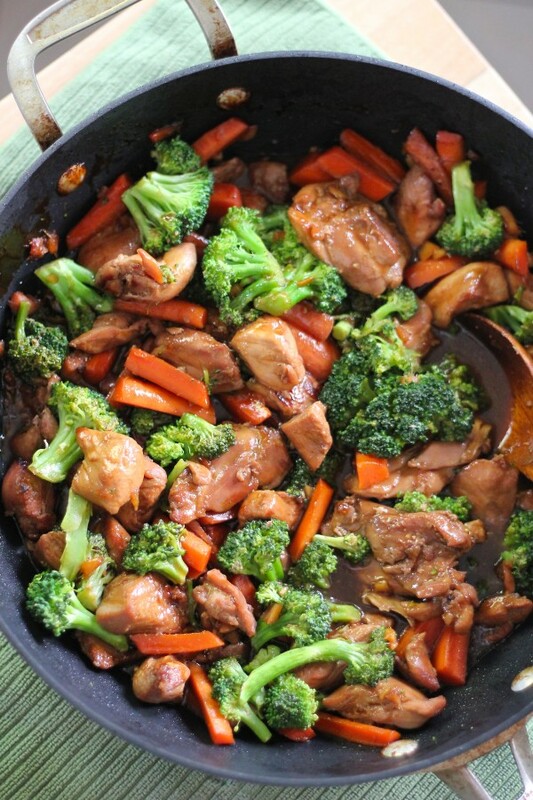 I love teriyaki chicken not only because it is easy but super tasty. Making your own teriyaki sauce is also easy. 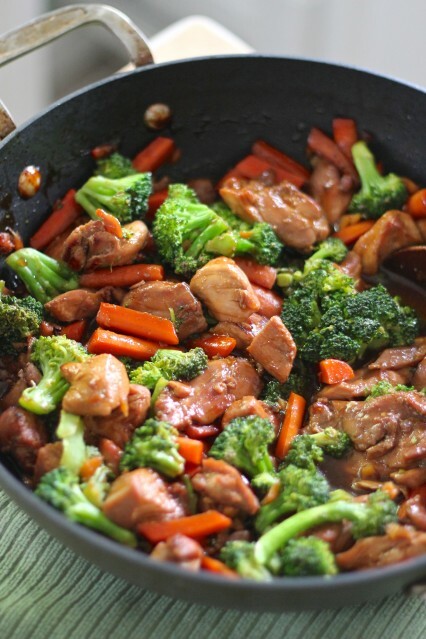 This teriyaki chicken has become one of our ultimate favorite meals lately. For me it’s just perfect because it takes hardly any time to put together, it is an extremely versatile dish and it is super yummy. Not long ago I started making my own Teriyaki sauce and since then I think I might have done at least two Teriyaki dishes per week. If you haven’t made your own Teriyaki sauce just yet I urge to do it. It is super easy, much better for you and the taste is superb. I also used it with some wild salmon fillets I got at the store the other day and to be honest, I think it was the best Teriyaki salmon I have ever had in my life. If you want to check out this other recipe, Teriyaki shrimp, go for it. It was also really good using shrimp. Also, I want to start posting more educational and informative posts. I know they will take me longer to do but at least once a month it will be good. I think some of my readers will benefit from them so if you have any suggestions on any subject you want me to touch upon let me know. I think spreading health is wealth, so I am going to make an effort in starting these posts. Anyhow, until my next post. In a small bowl mix the Teriyaki sauce ingredients. If you are just making the sauce for future consumption follow this step otherwise follow the next paragraphs. In a small sauce pan, over medium to low heat, heat the sauce until thicken stirring occasionally. About 5 minutes. Let the sauce cool and store it in a glass airtight container in the refrigerator. In a large skillet, over medium to high heat, add the olive oil. Add the chicken and carrots and cook stirring occasionally until almost tender, about 6-8 minutes. Add the garlic and cook further for another minute. While the chicken is cooking, place the broccoli on a safe microwave dish and microwave for 6-7 minutes. Depending on how strong your microwave is you may need less time. My microwave is not too powerful so I use 7 minutes but 3-4 minutes may be enough in yours. 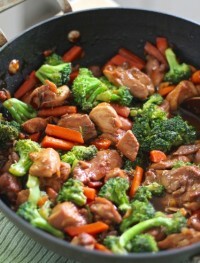 Add the Teriyaki sauce from the bowl to the chicken and carrots and stir for about 1-2 minutes or until it thickens. Turn heat off and add the broccoli and pepper flakes if using. Stir to combine. Serve over brown rice or rice noddles. NOTE: I doubled the Teriyaki sauce for us. 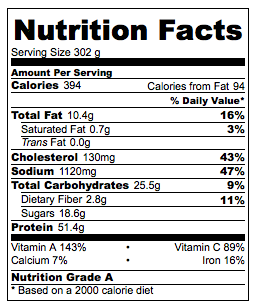 Nutrition facts calculated based on the recipe giving 6 servings and using 3lbs of organic chicken.